In this global economy, parties to commercial financial transactions are often from different countries, with each country having uniquely different bodies of law and precedent governing commercial transactions. 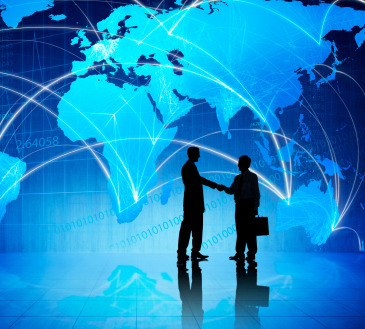 Such cross-border transactions may require the appointment of a process agent, especially if the transaction includes a commercial bank or another specified lender, a sovereign state or companies conducting business globally. The process agent serves as a point of contact in the jurisdiction where the parties may not have a presence so that legal process arising out of the transaction’s operative agreements may be served. The jurisdiction is negotiated by the parties and can vary depending upon each party’s country of origin. However, New York and the United Kingdom are often common choices due to each jurisdiction’s recognized body of commercial law and established precedent in large financial transactions. The choice of either New York or English law can offer a neutral jurisdiction that provides some degree of predictability and fairness, neutrality and justice for the resolution of any potential dispute. When is a Contractual Process Agent Outside of New York or the United Kingdom Appointed? While process agents are commonly used in global cross-border transactions with New York or English law frequently chosen as the choice of jurisdiction, there are other cross-jurisdictional instances that are noteworthy. Three examples are below. For example, a corporation may enter into an indemnification agreement with its directors and/or officers to afford each the indemnification protection allowable under Delaware law. The directors and/or officers may reside outside of the State of Delaware. These individuals serving as officers and/or directors of a Delaware corporation may choose to appoint a process agent in Delaware under the terms of the indemnification agreement. The terms of the indemnification agreement may specifically name a process agent to receive any legal process that may arise under it. The consent of a process agent may be required to finalize the terms of the indemnification agreement. In some cases, the uniqueness of the industry or transaction can affect the choice of jurisdiction for appointment of a process agent. For instance, in a transaction where an individual or entity is purchasing a race horse, the terms of the Purchase Agreement may require that a process agent be appointed in Kentucky as the jurisdiction in which any legal proceeding may be initiated and litigated. Kentucky may be chosen because the parties are most comfortable with its law and legal precedent governing the purchase of a race horse. Another example in which a domestic U.S. jurisdiction will be the favored choice of jurisdiction may be in contracts with the Writers Guild of America (“WGA”), the union that represents film and TV writers. For example, an individual or entity that resides or is domiciled outside the State of California and is entering into a media license agreement with the WGA may be required to appoint a process agent in California. The above examples are contrasted with the cases where a process agent or “agent for service of process” is required to be appointed in a state insurance department application or a Federal Motor Safety Carrier Administration license registration. (See our previous blog article, “Appointing an Agent for Service of Process with Government Agencies”). Registrations with government agencies become part of the public record. The majority of the appointments under private contracts do not become part of the public record; however, the role of the process agent is the same: to receive and forward legal process on behalf of the appointing entity. Conditions may dictate that the location of one of the transaction parties will determine the process agent jurisdiction. For example, a Mexican corporation appoints a process agent in Arizona pursuant to the terms of a loan and security agreement as set forth by the Arizona-based lender. In the event of default, the lender is most comfortable having Arizona law govern and Arizona venue should there be a default. Similarly, Latin American parties will appoint a process agent in Washington, D.C., when entering a finance agreement with the Overseas Private Investment Corporation (“OPIC”), because OPIC, which is located in Washington, D.C., requires it. As mentioned earlier, the appointment of a process agent is typically driven by the lender. Another example is a Netherlands corporation which maintains a bank account in the Cayman Islands. The corporation was required to appoint a process agent in the Caymans to establish the banking relationship with the lender. Given the unique banking laws in the Cayman Islands, the bank was most comfortable with the Cayman Islands having jurisdiction both in law and venue over the relationship.